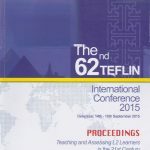 These proceedings are a collection of papers presented at the 62 TEFLIN International Conference held in conjunction with the celebration of the 53 Dies Natalis of Udayana University held in Sanur Paradise Hotel from 14 September 2015. 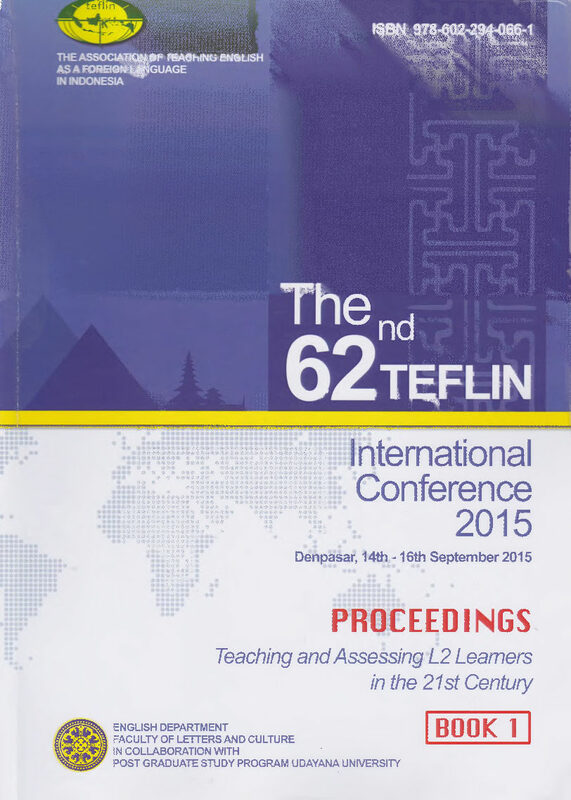 The theme of this year’s conference is Teaching and Assessing L2 Learners in the 21st Century. The papers were selected out of 503 papers presented covering issues of English-language teaching from the perspectives of (1) Language Policy and Planning in Assessment, (2) Quality Assurance in ELT, (3) 21st Century Language and Communication skills, (4) Assessment in Character Education, (5) Rotes of ICT in Teaching and Assessing L2 Learners, (6) English for Young Learners, (7) Innovations in Teaching and Assessing, (8) Best Practices in L2 Teaching and Research, (9) School-based Assessments, (10) English for Specific Purposes, (11) Standardized Tests of English Proficiency (e.g. KLTS, TOEFL), (12) English for General Purposes, (13) The National Examinations and their Impact on L2 Learning, (14) Translation in Language Teaching, (15) Teacher’s Professional Development, and (16) Literature-Based in Language Teaching. We would like to express our sincere thankfulness to those who presented their papers at the conference. We also wish to thank the students at the English Department, Faculty of Letters and Culture, Udayana University who have assisted us with the typesetting for the format of the proceedings. More importantly, we express our gratitude to the board of reviewers who have worked hard in reviewing the submitted papers selected for the proceedings.